Proun was made because there were ideas in my head that wanted to come out. They wanted to be a game. I wanted them to be a game. Design choices in Proun were not made to make it the best game for the player, or to make as much money as possible. 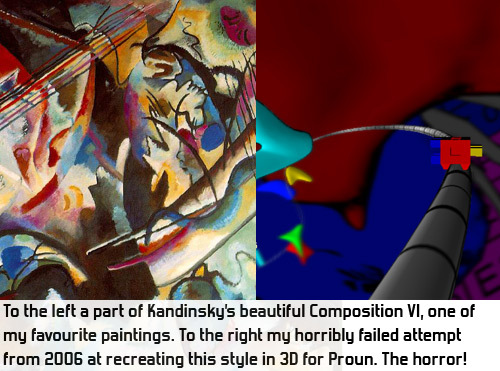 Proun was made because I love the experimental art from the early 20th century, and I wanted to express this love in a game. Proun was made because I was fascinated by having a world where there is no up or down, and everything rotates. You can download the game hereon a pay what you want bases.